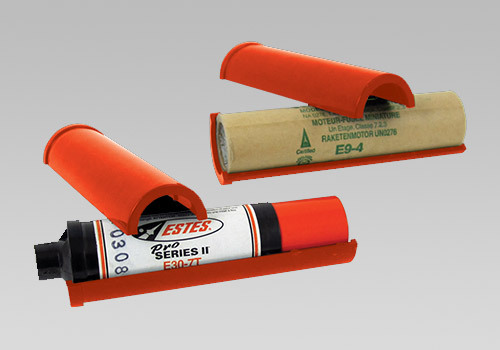 Adapts Estes 24 mm C11/D, Estes 24 mm E and Estes E30 series Composite engines to a 29 mm Estes casing size. 2 sets per package. Includes orange adapter tubes also. Note: the This is the adapter of the same size as Estes E16 and F15 Black Powder Motors. It will allow you to fit Estes D and E Motors, AT RMS 24, E15, E20, E30, F30, F32 and F44 motors. Simply enter your details below and we will send you an e-mail when “Engine Adapters 24 mm to 29 mm” is back in stock!